George Crook ​fought against the Chiracahua Apache within two distnct regions and separate times in Arizona, New Mexico and northern Mexico. 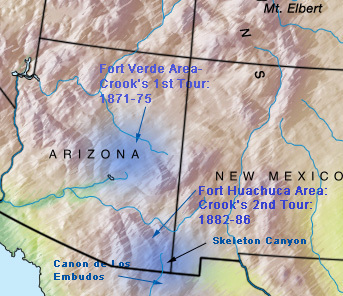 His field headquarters varied but generally centered around Fort Verde (1871–1875) and Fort Huachuca (1882–1886) shown in the maps and photos below. 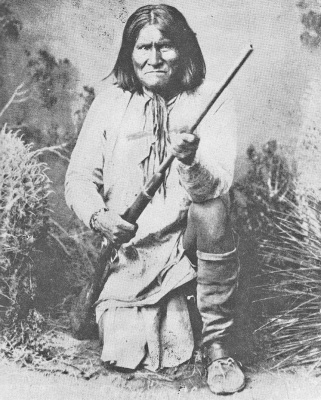 His most-elusive and dangerous foe was Geronimo who rampaged through this region for years slaughtering settlers in isolated communties, remote ranchers and travelers to steal guns, ammunition, horses and livestock. ​Both campaings did not consist of large military forces in massive battle formations opposing each other on an expansive battleground. Instead, the military would mobilize a modest force with sufficient supplies loaded on pack mules and then slowly seek the Chiracahua. The Chiracahua on the other hand collected into small multi-family bands that normally fled when approached by the militry to avoid direct confrontation. 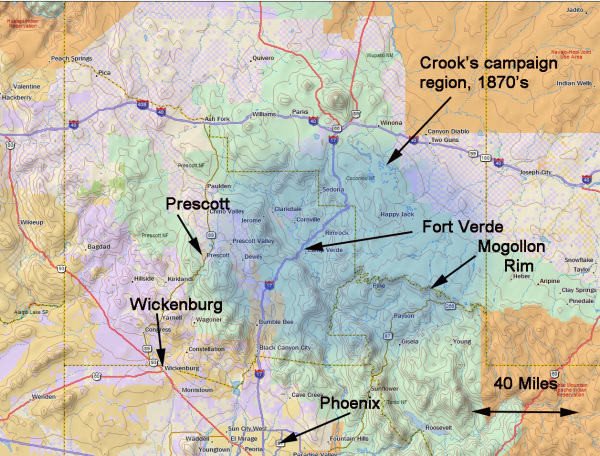 One of General Crook's greatest achievements occurred in the remote Canon de Los Embudos in northern Mexico below the Arizona - New Mexico stateline. 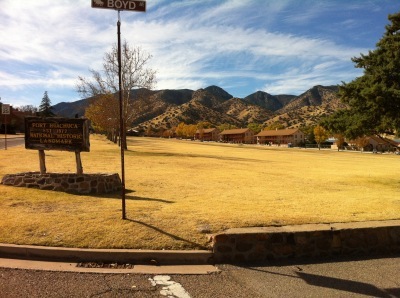 It was here that Crook and Geronimo cautiously met to discuss the warrior's surrender conditions. Unfortunately, the conditions agreed by both were soon rejected by Crook's superiors. Crook opposed this change rcognizing that war would resume and as a result, he could not accept that decision and soon left Arizona​​​​​​​​ . The background photo on this page is of the Mogollon Rim from Jerome, Arizona. 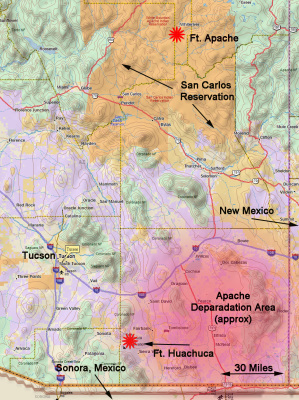 The restless, rampaging Apache ofter sought refuge in these elevated plateaus from hostile settlers and the military.